Working in pediatric speech therapy can be incredibly rewarding. We get to know some amazing children and families, and we are able to see incredible progress in many of our young clients’ speech and language skills during our time with them. Recently, we received a glowing testimonial from the parent of one of those clients. This client, who we’ll call “Jackson”, started speech therapy with Lil’ Chit-Chat therapist Sabrina when he was two years old. Because of his age, Sabrina provided speech and language therapy through play-based methods and traditional articulation therapy. She also used the Hanen technique, which empowers parents to implement the things that were targeted during therapy into a child’s daily routine. When he started therapy, Jackson had a very limited vocabulary. He used some phrases, but they were not very intelligible. After completing six months of speech therapy with Lil’ Chit-Chat, Jackson had made tremendous progress. He was speaking clearly and with a rich vocabulary in four to five-word sentences, and quickly learning more and more new words. Part of what makes Jackson’s story such a successful one is that his mother was fully dedicated to the speech therapy process. She never missed a therapy session, and she worked diligently with Jackson in between sessions to reinforce what he was learning. She also made sure to get speech therapy for Jackson as soon as she noticed a delay in his speech. So many parents choose to wait, hoping that things will get better on their own, and some are even encouraged by their pediatricians to wait to begin speech therapy. At Lil’ Chit-Chat, we are huge proponents of early intervention when it comes to speech and language therapy. 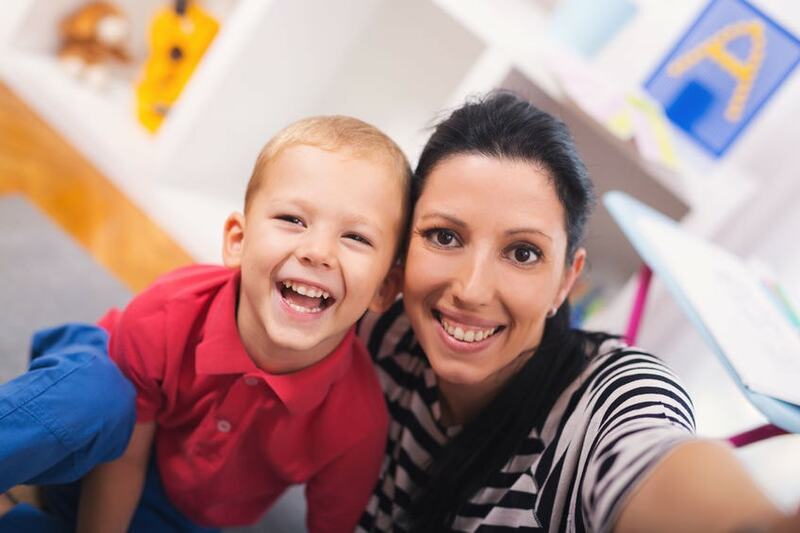 If you think your child may need some extra help with their speech and language, contact us for a consultation with one of our licensed Speech Language Pathologists.